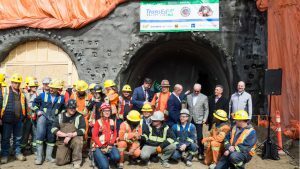 Work on Toronto’s 12-mile (19-kilometer) Eglinton Crosstown LRT project, the city’s largest, is heading toward the last lap. The line is scheduled to open in September 2021. 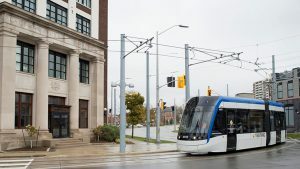 The Kitchener-Waterloo ION light rail system in western Ontario Province, Canada, will miss its most recent revenue service startup date in December. The opening, which was originally scheduled for December 2017 and then postponed until April 2018, has once again been pushed back until at least spring 2019, due to LRV-related delays. No specific date has been scheduled. 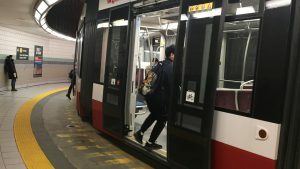 The Toronto Transit Commission (TTC) recently suffered another setback in the delivery of its much-delayed 204-unit Flexity Outlook LRV order. 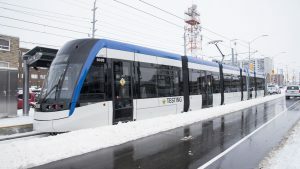 Carbuilder Bombardier Transportation has advised the TTC that 67 of the LRVs have frames that were improperly welded at the company’s Sahagun, Mexico plant. A Bombardier spokesperson stressed that the welding deficiencies do not represent a safety issue (most of the cars involved are presently in service), but could become issues later in the cars’ expected 30-year life spans. Construction of Edmonton, Alberta’s eight-mile Valley Line LRT, begun in April 2016, is nearing the half-way point. The project involves two significant firsts for the city that is the province’s capital: It will be Edmonton’s first low-floor LRT line; and the first built under the P3 (public-private partnership) method. Two light rail new-starts in Canada’s Ontario province appear to be on diverging paths. Hamilton’s is at the RFP stage, while Kitchener-Waterloo’s opening has been delayed, again. 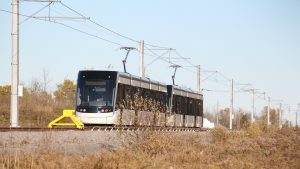 LRV testing on the new Kitchener-Waterloo (Ontario) LRT line has been ongoing since late 2017. 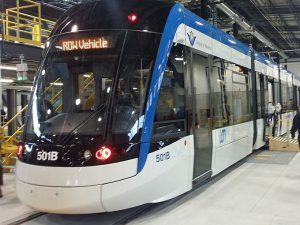 The long-standing dispute involving Ontario, Canada transit agency Metrolinx railcar supplier Bombardier over delivery of 182 light rail vehicles has been resolved, after six months of negotiations. 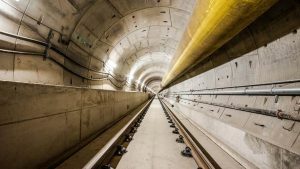 Two of Ontario, Canada’s numerous light rail transit projects—the Kitchener-Waterloo ION and Hamilton Street Railway B Line—have been facing difficulties, albeit of a different nature. The former is still without functional LRVs; the latter is looking at potentially conflicting operating proposals. 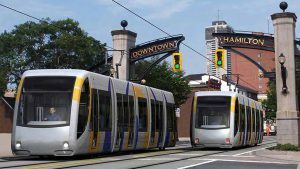 The basic design work for Hamilton, Ontario’s LRT system has been finalized, including the selection of a site for the Maintenance and Storage Facility (MSF). 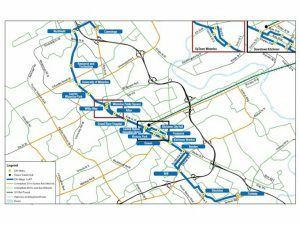 The eight-mile (13–km) line is being financed at an estimate C$1 billion cost by Metrolinx, the provincial agency that oversees Ontario rail transit activity.